For many Wiccans, magical oils are a staple component of ritual and magical practice. Using essential oils in your magic is a time-honored way of working with the energies of Nature to bring about desired change in your life. Since before recorded history, shamans, priests and healers used scented oils in ritual, magic and medicine. Oils were used in incense, ointments, tinctures, charms and other magical creations for almost every purpose under the Sun. These sacred oils were made by heating fragrant plant matter—leaves, flowers, barks, etc.—in carrier oils made from olives, sesame seeds and other sources. Some of the earliest fragrant oils made in this way were frankincense, myrrh, and cinnamon—classic scents still used today in many modern forms of the Craft. Over the centuries, steam distillation and other technologies were discovered, allowing for oils to be extracted from a wider variety of plants, including flowers and citrus plants. Today, with the explosion of interest in the healing art of aromatherapy, an unprecedented array of essential oils is available to anyone who wishes to explore them. This is great news for Wiccans and other Witches who like to incorporate essential oils into their magical practice! How are oils used in magic? Unlike most other ingredients of spellwork, oils tend to be more of a supplement than a main feature. 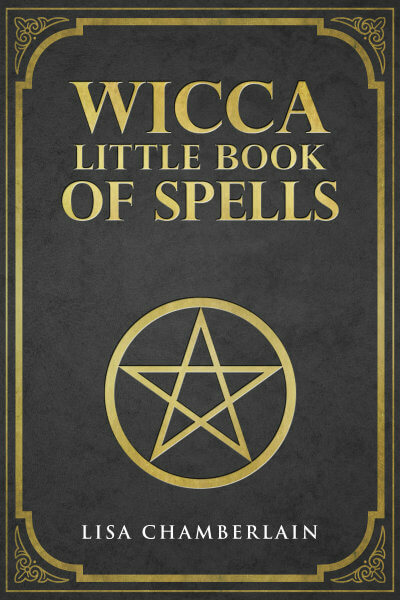 Witches use them to anoint their ritual tools, their crystals, their talismans and amulets, and even their own bodies. Oils are often used in the creation of incense, and are particularly excellent for use in candle magic and charm-making. Just about anything you want to do, magically speaking, can be enhanced by the use of oils—whether you’re using a single scent or a blend of three or more. What’s magic about essential oils? Plant-derived scented oils are powerful components of ritual and spellwork for two main reasons. First, they contain the magical energies of the plants from which they are made—the trees, shrubs, flowers, etc. that are transformed into liquid form. Plants themselves are living beings, with their own living intelligence that works in perfect harmony with nature. And of course, plants have magical properties as well, which are highly concentrated in the form of essential oils. The same is not true for synthetic fragrance oils, which may smell quite similar to the real thing, but won’t have the natural ingredients contained in botanical oils. While many Witches have used synthetic oils with success over the past few decades, most agree that the power of true botanicals just can’t be beat. The second “trick” that magical oils have up their sleeve is the power of scent and the effect it has on the mind. We understand this effect intuitively, as we all have favorite scents that put us in a happier or more relaxed mood. The scents of myrrh and cedarwood, for example, or a blend of lavender and clove, seem to instantly awaken something in us that’s beyond our ordinary sense of smell and put us into a different frame of mind—one that is more in touch with the invisible powers of the Universe and therefore more able to direct those powers to achieve our aims. In this way, botanical oils provide a direct tie between the natural physical world and the spiritual plane. After all, if you can’t summon the necessary state of mind to send your intention confidently into the Universe, you’re unlikely to get the results you seek. This is why incense is such a key part of ritual and magic in Wiccan and other Pagan traditions. As the richly scented smoke wafts throughout the sacred space, it puts us in a frame of mind that is unconcerned, for the time being, with the mundane details of everyday life. We are more able to focus on going within, connecting with our deities, our higher self, or whatever our belief systems recognize as the power that aids us in transforming our reality. Scented oils provide another way of promoting this inner focus, and magical oils–those that are blended and charged specifically for magical purposes–are arguably the most potent aromatic resources we can have at our disposal. How do I make my own magical oils? Since many essential oils can be on the pricey side, it’s best to start with just two or three single oils, which you can use individually and to make your own blends. Then you can gradually build up your collection of oils over time. You can also find plenty of quality pre-made blends, but the hands-on experience of blending your own is a great way to get more acquainted with the magical energies of the individual oils. You can find basic blending instructions and example recipes here. Unfortunately, due to the growing popularity of essential oils in the mainstream world, many poor-quality knock-offs are being sold as “essential oils” in big box stores and elsewhere. Be sure to do some research into all companies you’re considering buying oils from, especially if you’re ordering online. That being said, essential oils sold in most health food stores are generally considered a safe bet. Which magical oils are best for beginners to start with? The answer to this is different for each person, so you’ll need to use your intuition. If you love the scent of lemon or lavender, these are good (and affordable) places to start. And if there’s a scent you truly dislike, then by all means avoid it! If you’re able to sample tester bottles in a shop, this is a great way to get a feel for which oils you’re likely to work best with. And as always, you can set an intention that the best oils for you to bring into your life at this time will be revealed to you. Then, just be open to receiving the message, and you’ll have your answer when the time is right! 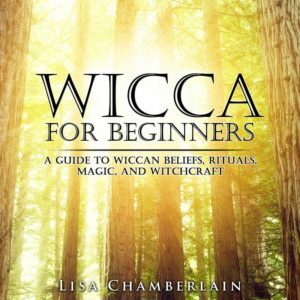 Click here to read Lisa's beginner guides to many different forms of magic.